Finally it seems we're into spring mode, just in time for April and some outstanding options in jazz for the coming week, from local stars the Atlantis Quartet to visiting upstart Greg Ward to such seasoned internationally renowned performers as Freddy Cole and Stacy Kent. Add in a three-show debut of Arne Fogel's revue of the great songwriting teams of Hollywood and Broadway and a night of jazz and art in the Northeast arts corridor and you have a diverse array of options. Friday, March 31. 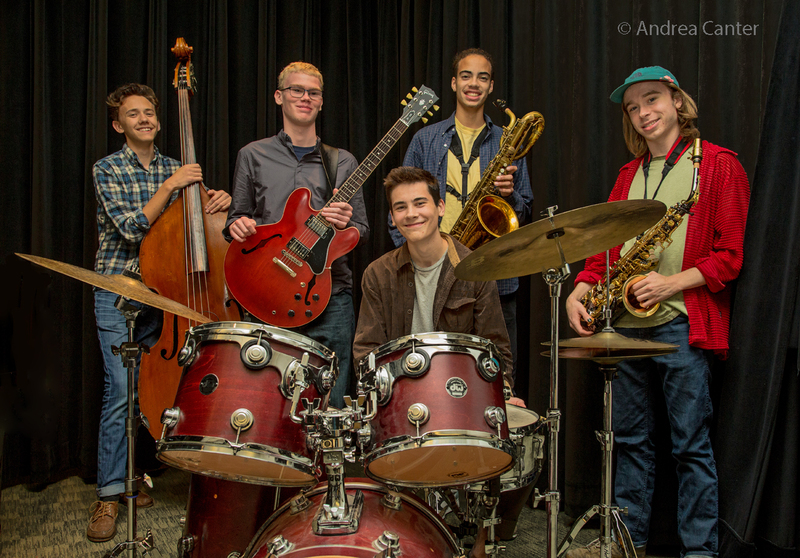 The GP4+1 returns to Jazz Central-- that's the Graydon Peterson Quartet led by bassist Graydon, with Adam Meckler on trumpet, Joe Strachan on piano and Adrian Suarez on drums--plus guest Andrew Gillespie in the first set, providing additional percussion on some Cuba-inspired tunes. At Crooners Lounge, Patty Peterson returns from a couple weeks of engagements in the LA area with sister Linda. Her "And Friends" ensemble--nephew Jason Peterson DeLaire, brother Paul Peterson, and Jay Young-- adds Andrew Walesch on vocals and piano. 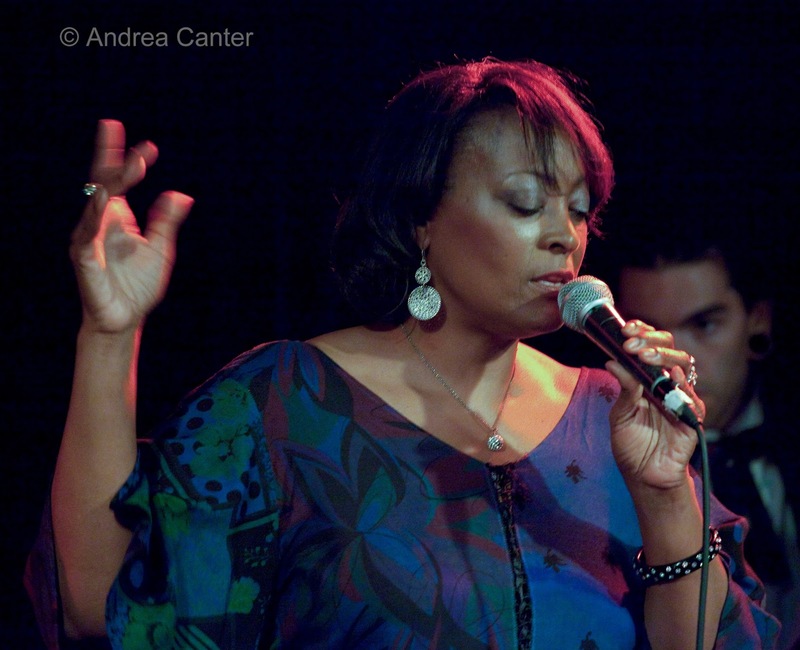 More jazz tonight as Debbie Duncan sings at View Carre' (following opening piano set from Jeremy Walker); Zacc Harris and James Buckley cover the dinner hours at the Icehouse; Lila Ammons performs in the new Hennepin Steam Room (formerly Tangiers). Friday-Sunday, March 31-April 2. The latest Arne Fogel production, "Team Work-- The Great Songwriting Teams of Broadway and Hollywood" features Fogel on stage with frequent co-star Maud Hixson and guest Jennifer Eckes, at the Blackbox Theater in Bloomington. Saturday, April 1. 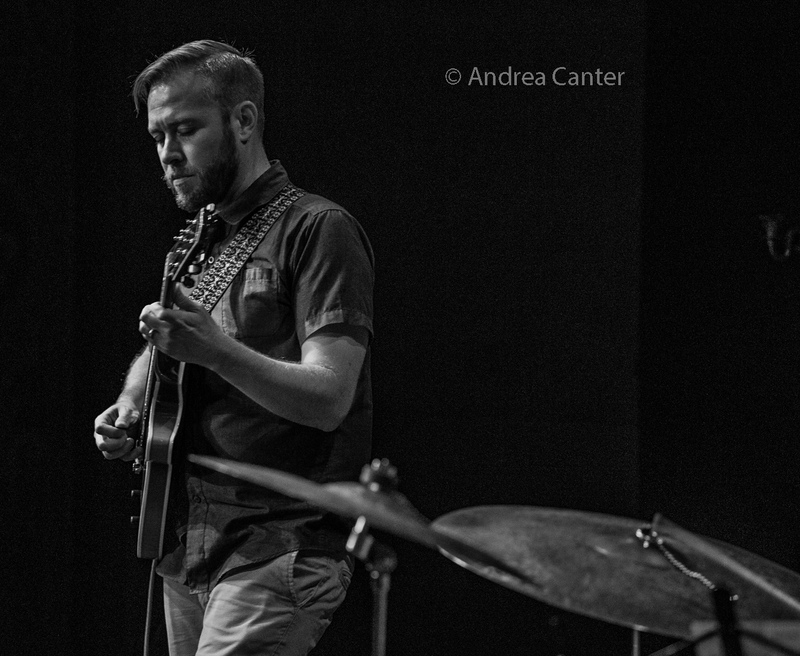 Saturday Night Jazz at the Black Dog features one of the most lauded ensembles in the metro, the Atlantis Quartet -- that's Zacc Harris, Brandon Wozniak, Chris Bates and Pete Hennig. It's also Brandon's Birthday so expect some April fooling. The opening band, Common Space, is filled with River Falls connections,led by drummer Alex Burgess, with Justin Wolff on sax, Dylan Nelson on bass and Eric Graham on keys. At the Icehouse, Tim Sparks plays solo guitar; the Benny Weinbeck Trio handles the lounge at Parma 8200; and Maryann Sullivan's Corner Jazz swings at Tin Fish at Braemer in Edina. Sunday, April 2. 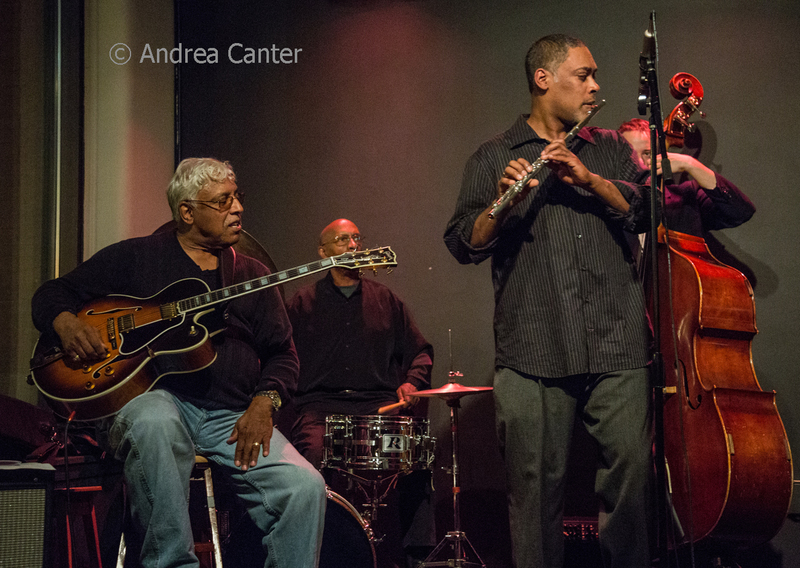 The Black Dog features a jazz brunch with the Jazz Bridge Project. This ensemble features a mostly veteran line-up -- Father and son Roger (guitar) and Rajiah (flute) Johnson, Javi Santiago on piano, Ron Evaniuk on bass, and Eric Gravatt on drums. Have some cool post bop with your eggs! 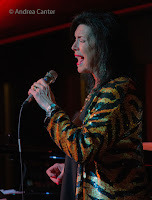 Dan Chouinard's Birthday Club welcomes a new month and area vocalist Thomasina Petrus, known for her portrayal of Lady Day. 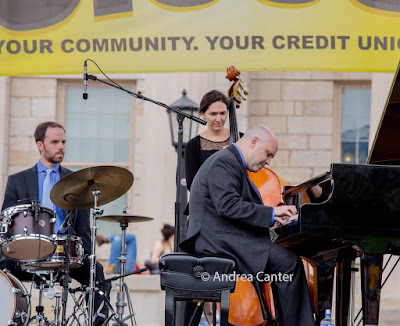 Patty and the Buttons celebrate brunch at the Aster Cafe, Doug Little's Charanga Tropical holds its monthly gig at the Icehouse; Cole Malum heads the B-3 Organ Jam at Jazz Central, and the Zacc Harris Trio performs in its weekly slot at the Riverview Wine Bar. Monday, April 3. 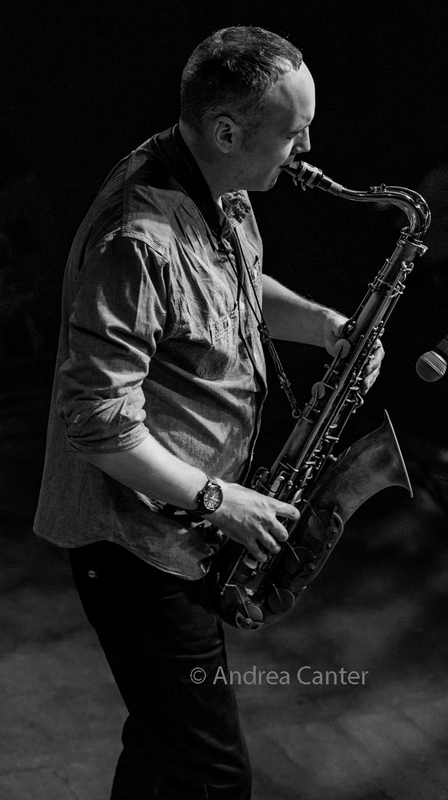 This month, the weekly JT's Jazz Implosion at the Icehouse is celebrating the music of the late Steven Reich, starting out tonight with a visit from Chicago-based saxophonist Greg Ward and his quintet. The night opens with "Clapping Music" from Cody McKinney and Pete Hennig, and the final set features clarinetist,saxophonist Pat O'Keefe performing Reich's "New York Counterpoint." 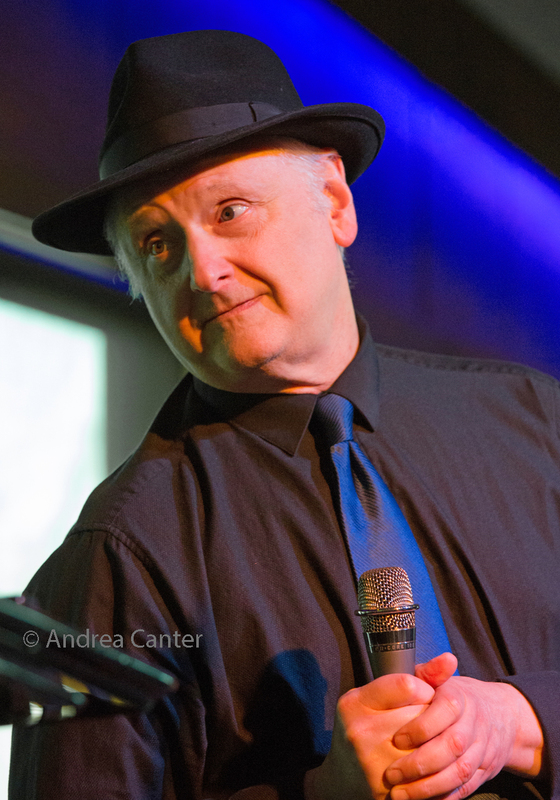 At Crooners Lounge, the Acme Jazz Company with Arne Fogel returns for their monthly party; keyboardist Daniel Williams (Ticket to Brasil, Bossa Soul) takes the spotlight at Jazz Central. Tuesday, April 4. 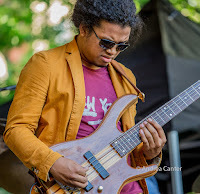 It's First Tuesday at the Black Dog, with Dean Magraw and Davu Seru on stage for some blues and fun as they celebrate the 104th birthday of Muddy Waters. 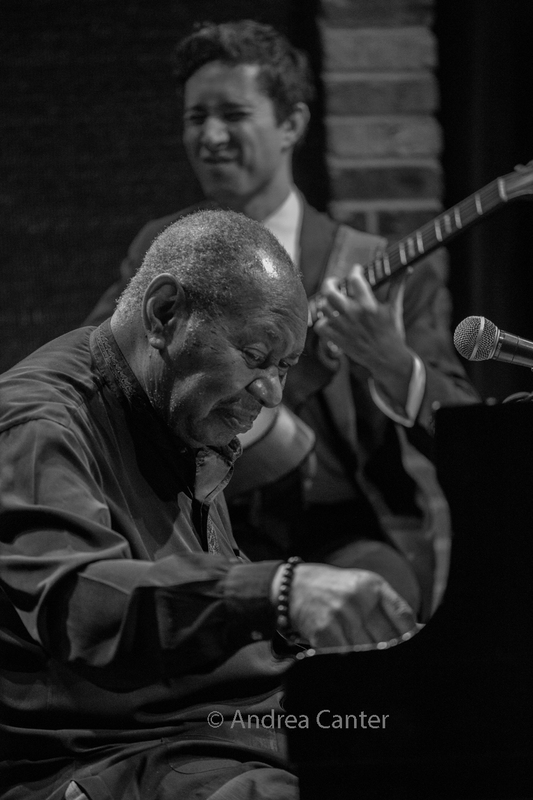 At the Dakota, the always marvelous Freddy Cole returns on piano and vocals -- he's well into his 80s now but Freddy hasn't lost a note, I heard him last fall in Detroit, as charming as ever. RIO NIDO POSTPONED! Prudence has laryngitis! Rescheduled May 9. But Tom and Tim play duo in the lounge tonight. 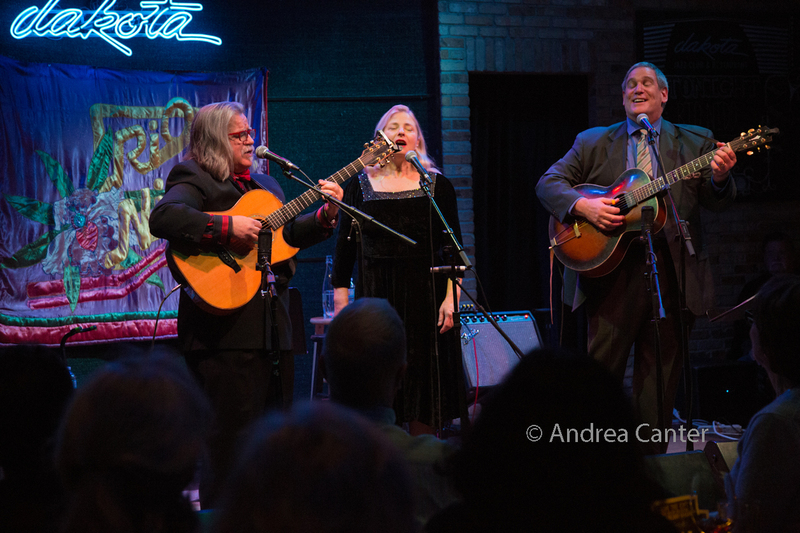 A good generation younger, the popular long-running Twin Cities ensemble, Rio Nido, makes their debut in the Dunsmore Room-- that's Tom Lieberman, Tim Sparks and Prudence Johnson who recently reunited and are recapturing their heyday gigs and new material, too. 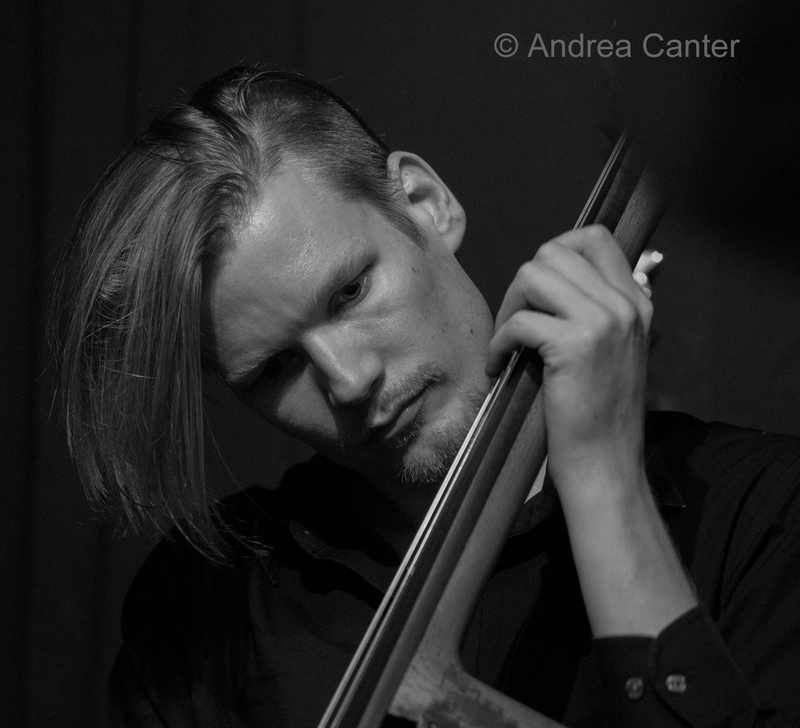 Big Band night at Jazz Central brings in the Bill Simenson Orchestra, featuring music from their recent debut recording. It's a great amalgam of top Twin Cities artists squeezed into the "stage" space in our local answer to New York basement clubs. Another veteran big band-- Beasley's Big Band is back in the Shamrock Room at O'Gara's. And at Vieux Carre', Zacc Harris presents some guitar magic for early evening listeners. Wednesday, April 5. 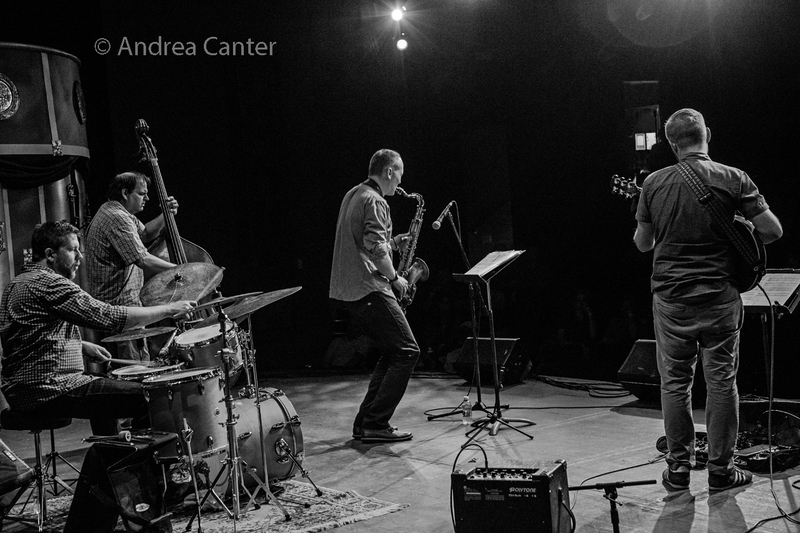 Wednesday night is always a night for new music at Jazz Central, this week featuring a newly formed quartet of improvisers and composers-- Steven Hobert, Matt Peterson, Rodney Ruckus and vocalist Sarah M Greer. 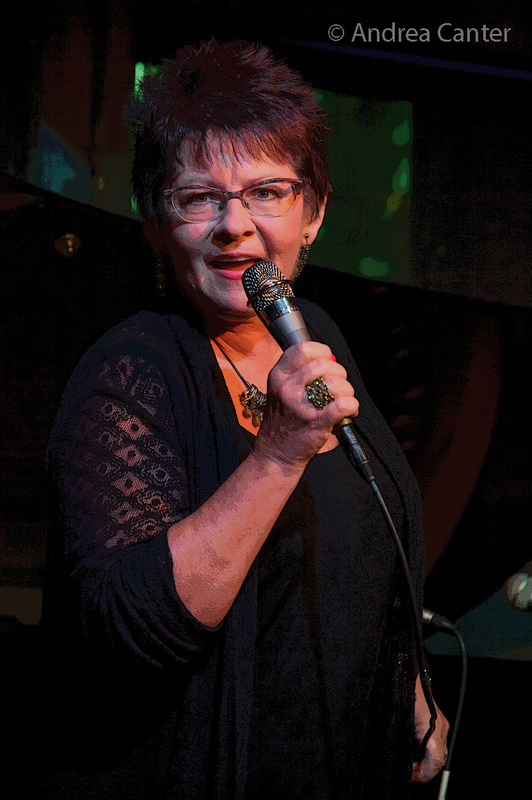 At Hell's Kitchen, swing with the monthly installment of the Wolverines Trio with vocalist Judi Vinar, while Paul Harper's Show and Tell Band takes the stage at the Hennepin Steam Room. Wednesday-Thursday, April 5-6. 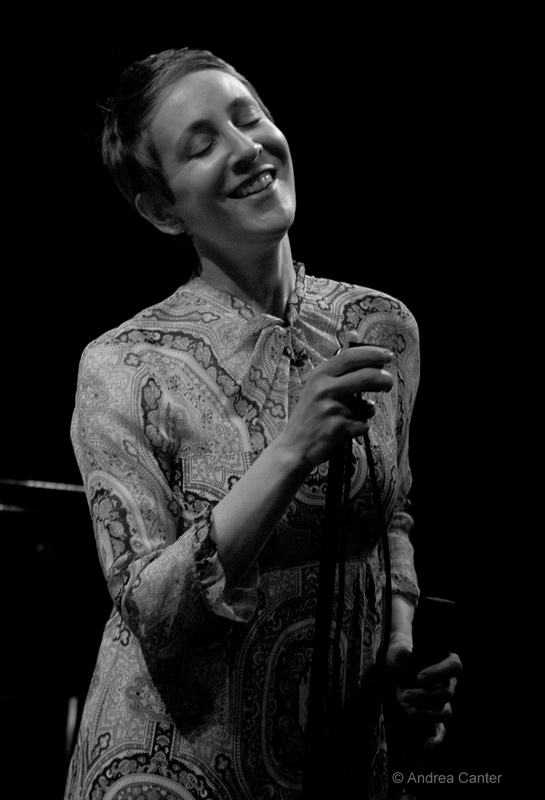 Connie Evinsgon holds her monthly gig in the Lounge at the Minneapolis Woman's Club, and another great voice, Stacey Kent, returns to the Dakota for two nights, along with life and music partner, saxophonist Jim Tomlinson. Thursday, April 6. A double header (9 and 10:30 pm) at Reverie features the Jax Revel Gang (with Javi Santiago and Blake Hubel), and the Alden Ikeda Group, an "out there" ensemble with Scott Newell on saxes and Steve Gnitka on guitar, with leader Ikeda on drums. 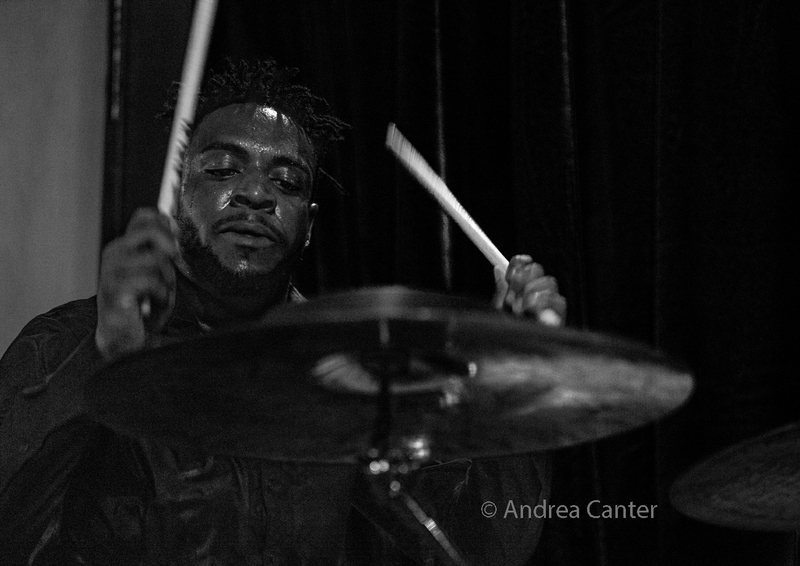 Jay Young and the Lyric Factory are in Crooners Lounge, celebrating the music of Michael Jackson and Stevie Wonder; Joel Shapira kicks off the night solo at Vieux Carre'; Vicky Mountain sings at Jazz Central; Maud Hixson joins Dave Singley at Ingredients Cafe'; the Kronick Quintet is in the Mudd Room at Lucky 13. See the Live jazz calendar posted on the KBEM website, and see more about jazz events at jazzpolice.com. --online and on facebook. Tune into the live edition of The Lead Sheet on KBEM 88.5 fm every Thursday at 4:40 pm, rebroadcast on Fridays at 8:20 am. 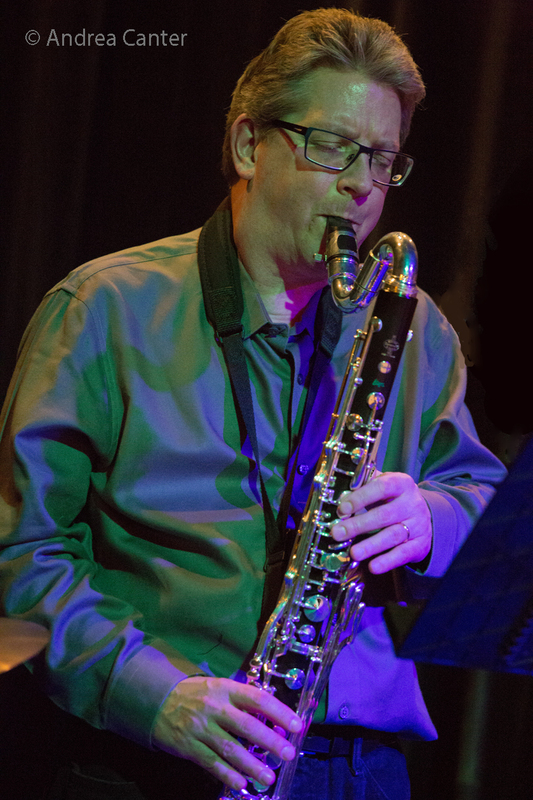 Andrea's guest on April 6 will be Steve Heckler in his role as Executive Director of the JazzMN Orchestra, talking about the upcoming concert conducted by Maria Schneider (April 8).